The new approach for brand photography was defined to use fresh ingredients playfully stacked on top of each other called “The Stack”. 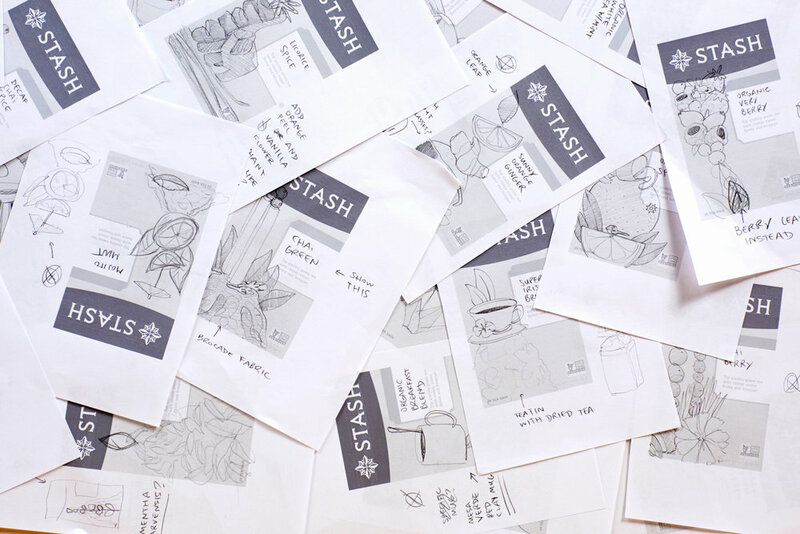 The Stack was designed as a unique way to represent flavor and Stash’s light-hearted personality in one photo asset. The Stack defies gravity and proportions in a playful way and uses props to help show the flavor of the tea inside. Each box has a container on it for the type of tea, the name, and a short flavor description. Our challenge was fitting in tea names from one word to as many as eight, as well as short English words and long French names. The system we designed is responsive with each box and orientation. The packs themselves needed to have their own individual flavor identities while also feeling like a family. We did this through a consistent design foundation, stunning photography, bright and unique colors, and a design that makes you curious to keep twirling the box in your hands. 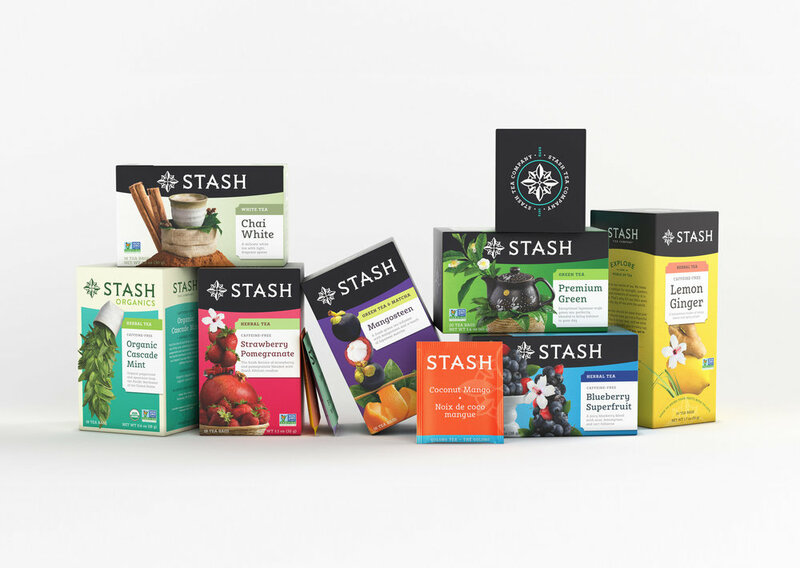 The rebrand was launched with over 200 different packs, envelopes, tea tags, and more. Here's how it all came together!